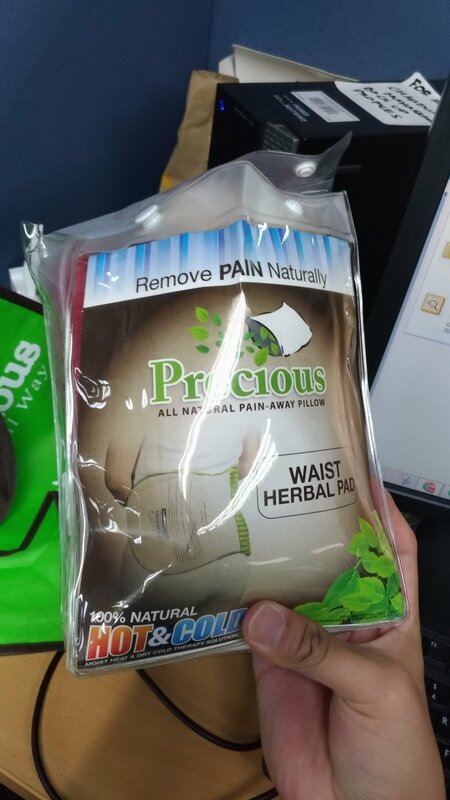 Precious Waist Herbal Pillow is another breakthrough to reduce pain not only in your waist area, but also in some applicable area (calves, legs, arms, etc.). 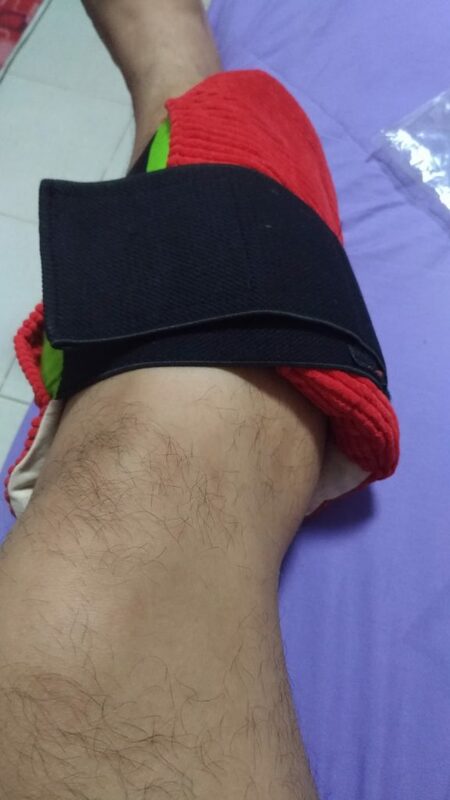 I participated on 21K run of RWM last Aug 26,2018, was so tired, and exhausted after the events, literally knees are shaking, and I remember I was given a Precious Pad few days back so this is a perfect time to try I simply put the pillow in the freezer for 1-3 hours, then apply it on my left calf. The pain was reduced and the sensation was awesome. I can smell the eucalyptus like smell while I apply it on my muscle pains sustained during my long run. After using the product that weekend, I brought the pillow in my office and have my officemates try the pillow because we came from the same run, they tried and used the pillow on calves, legs, and other lower muscle areas – everyone was relaxed! Some would use it as a hot compress, but for now I haven’t tried it yet, but some say that hot compress is good for stiffness, colic, stress/fatigue, asthma, colds, nervous tensions, and the likes – will try that next time. 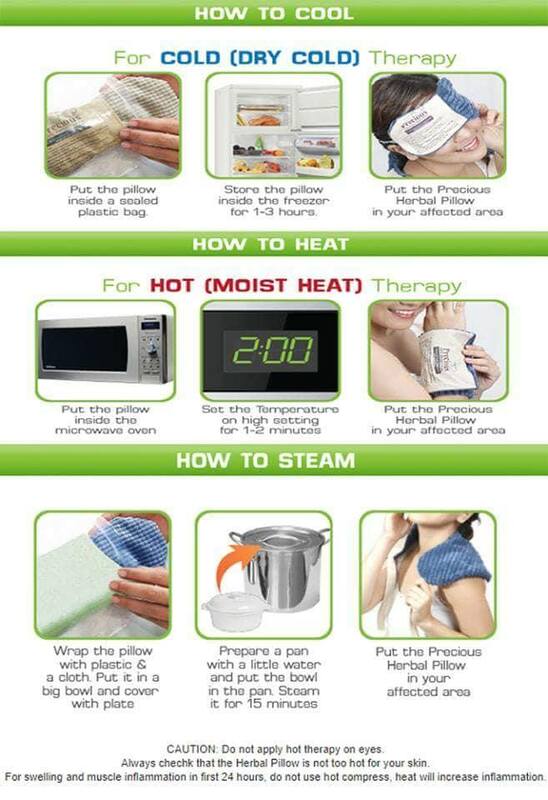 Cold compress, on the other hand, does not only apply on muscle pains, it may be also applied for fever, toothache, nosebleed, bumps, headaches, migraine, sprains, and sports injuries.